I did some more editing on our beach photos last evening so I thought I’d post a few more of precious baby Lilley! I am so glad we moved and that I will get to see my best friend’s baby grow up. My girls ADORE this little girl! She loved eating some strawberries! And here is a classic Lilley look! She has the sweetest little laugh! It’s been a crazy week. Starting school, working two days, going with my mom to a doctor’s appointment, company in from out-of-town (my sis-in-law) not to mention the sad, gloomy cloud that has been hovering this week following Baby Ayden’s death. It’s just been crazy. In the midst of all the craziness I managed to get through Annagrace and Madalyn’s first week of school. Here is a summary of the week’s events. Monday was a great day. Madalyn was wonderful! She behaved and even paid attention when I gave her a few activities to do. Already I am seeing just how smart she is! And her language is getting so much better. She doesn’t stutter or mumble nearly as much as she used to (we were worried about this last year and her preschool teacher even recommended that we keep watch on it and if it was still a concern at the end of this school year to get her checked out). I think she’s going to be fine. Her vocabulary is really growing! She printed a picture off the computer the other day and told me “This is a gorgeous design!”. One of her first tasks has been learning to identify her name. I thought I’d start her off with just 2-3 to choose from but she has done so well that I went ahead and posted most of the family and after a couple of days she can now identify every name! I love these namecards that I got at the Dollar Tree! I’m going to mix the names up and add a few more next week to keep it interesting for her! Her other activity for Monday was to practice spelling her name. Alison directed me to a blog with this idea on it but at the moment I can’t remember which blog it was! So I can’t take credit for it but it was a great idea! She already can place all the letters in the correct place. She is also attempting to write her name and is able to write “Mad” which is fitting since that’s her nickname! Annagrace did well on Monday too. She paid attention and didn’t complain too much! Our first 2 weeks of school are just Introduction type stuff and review. This week she learned about the world, the continents, and how to read a map. For math we are reviewing multiplication tables (she knows her 0s, 1s, 2s, and 3s and next week we will really work on her 4s-7s). She also started learning her memory verse for the week: John 3:16. She had it memorized in 3 days time! Mondays will be her “challenge” days and her first unit of study is the 50 States. She studied the northeastern area of the United States on Monday and started learning her state capitals. We also started putting together her postcard notebook. She has been receiving post cards all week and gets excited about each and every one! Here is her Colorado postcard–sent by the three Colon girls (I am facebook friends with their mom, Amy). They are also homeschooled! And here is the inside of the notebook with an Alaska (she got 2 from there) and a California postcard in place. On the right side page it has the state name and capital, the date she received it and how we know the person who sent it. She is having a great time collecting quarters as well. I found her a special book at the bookstore just for collecting them and she’s already built up quite a collection! Aaron finished up our homeschool day by reading Annagrace’s science book with her. I like that he can help out and it makes our day a little bit lighter when he helps out in the evenings! Tuesday was not quite as busy and seems like it may be one of our slower paced days. We started at 9 and finished at 12:30 and then we headed out to a Homeschool playgroup from 1-3. The girls had so much fun! I was thrilled to find out that there were 3 girls there that are close to Annagrace’s age! Madalyn had a couple of boys her age that she seemed to enjoy playing with too. The moms were all so nice and helpful. I picked up some great ideas and tips for things to do with the girls from them. We are looking forward to this each week! After playgroup we walked across the street to the library and checked out THIRTY books!!! Annagrace picked out 10 of her own and then I picked out 20 for the girls to share! Almost all of them are related to what we are studying in some way. One of their projects today was to draw a picture of something they learned in their science lesson (they learned about photosynthesis and nocturnal animals). They decided to draw pictures of bats. Annagrace wrote 3 interesting facts about bats on her paper and then we went to the computer and learned about what type of noise bats make. Madalyn was fascinated and I made sure to find her a book about bats at the library! Oh! And I forgot to mention . . . last week I checked out “The BFG” by Roald Dahl because I remember loving it as a child and thought we could read it together. Well Annagrace started it on her own and couldn’t put it down! She had it finished in no time at all. She highly recommends it for any 3rd-6th graders out there! We had another busy day on Wednesday and we got started by 8:15. I am realizing that Madalyn can handle about every other day as far as being able to pay attention and listen. So I am thinking the majority of her school stuff we will do on M-W-F. I wanted to give her a fun activity for today and little did I know that Annagrace would enjoy it so much too! I let Annagrace have a nice long break in the morning and here is what they did together and without fighting! The most surprising thing was that those baby clothes were filthy! I had never even thought to wash them and boy did they need it! They had one bowl to wash in and one to rinse in. They had a great time and I know we’ll be doing this again soon! After lunch Papa came to stay with the girls while I went with my mom (Grammy) to a doctor’s appointment. While we were gone, Papa helped Annagrace start a worm project! The jar has black dirt, then sand, then more black dirt, then some oats on top and then about 10 worms inside. She is suppose to check it each day and see what it looks like, how it has changed, etc. She wasn’t too happy about it at first but she seems to be interested in what is going to happen over the next few days! I worked both days so Annagrace had a substitute–Aaron’s sister, Steph. Annagrace did well getting her work done (I was really light on her both days) and they even had PE yesterday afternoon! We also took them to the park for awhile last evening. So that was our first week of school at the casa de Saufley! I love it. I love being with my girls. I love talking and sharing and learning with Annagrace. I love the flexibility. I love not having to get up and put my baby on a bus in the morning. I love knowing what she is learning and we both enjoy telling Aaron when he gets home what we studied that day. Next week we are going to try to start piano lessons (I’ll be trying to teach her so we’ll see how that goes!) and my mom will be her substitute for at least one day. I also have plans to sign Madalyn up for dance classes that will be held on Mondays and the homeschool co-op will be starting later in September. I am so excited about all the things that Annagrace is going to learn this year! for Lindsay and Jeremy. Lindsay posted this on her blog today. Please keep them in your prayers today and for many, many days to come. That’s the big question I am asking myself constantly tonight. A local couple from the church we sometimes attend here in Greenville lost their 4 month old son today. I don’t know all the details. Just that he was a healthy, growing baby boy who apparently rolled himself over on his stomach this morning and was later found not breathing. And I have been asking God, “WHY?!”. I know our God is powerful and mighty and that there are reasons for things that we can not see. But I just keep thinking that babies should NOT die. This is the second child this age that we have known of that has died in the last 9 months. Such a horrible tragedy that has afflicted two different families that we know. My heart hurts for both of these families. Please say prayers tonight (and continually) for Lindsey and Jeremy Jones (who lost their son today) as well as Ashlee and Aaron Proffitt (whose baby boy died last December). Coincidentally, both of their sons were named Aaden. And they now both are with Jesus in Heaven. God please provide them with the peace that ONLY YOU can provide. And Jesus . . . please return soon. Sometimes this life is just to painful and we anxiously await your return! Today we started a new chapter in our lives as a homeschooling family. If you had told me 2 years ago that we would end up homeschooling I would have seriously laughed in your face. We had a few friends who homeschooled and I always thought that they were doing it to “shelter” their children. Then we made some new friends who homeschooled, then another friend started homeschooling . . . and suddenly it didn’t seem so weird anymore! I was very nervous last week just thinking about it. Was I doing the right thing? Are my kids going to be scarred for life? Are they going to end up being stupid?! But today went very well. Better than I was expecting in fact! I had decided that we would start each day this week at 9:00. Well I was up at 7:30 and Annagrace was up at 8:15–all dressed and in the kitchen raring to go! I had her go to her room and read while I made breakfast and then we started our day a few minutes before 9. I had planned a few activities for Madalyn (practicing the letter “M”, identifying family members names, coloring) but by 10:30 she was ready to get on the computer! I let her play on Starfall (practicing the letter “M” a little more) and then on Barbie.com. (We soon realized that she needs a pair of headphones so we picked some up this afternoon!). She was really, really good! I was very impressed! I think that Annagrace is “detoxing” from public school and when I told her at 12 that we were almost done she kept saying, “Really?”. And “You mean all my friends are still in school for 2 more hours and we are done?”. It was kind of funny. She needs a lot of work to stay interested and she HATES anything that may be considered “busy” work so we have to keep things moving along quickly so she doesn’t get bored! Here is our tentative schedule for the next few weeks . . . however this is subject to change on a daily basis which is one thing that I LOVE about homeschooling! 7:30: Mom up and at ’em. Breakfast cooking. E-mail and Facebook checked. 8:15: Annagrace and Madalyn both up and dressed. Breakfast time! Tuesdays will be homeschool play group and library day in the afternoon (play group is at the church next door to the library which is so convenient). Wednesdays will be “substitute teacher” day–my Mom will be helping out until the baby is born and then Aaron will take over a day a week. And Thursday will be her “really, really light” day (we are doing this on a 4 day schedule). Most weeks I will be working Wednesdays and Thursdays so we’ll only have to have childcare one day a week. Aaron helped out this evening by reviewing some Science stuff with her and Annagrace quizzed us on the state capitals at supper time (that was interesting!). I think I’ll leave one thing or project for him to do with her each evening when he gets home. Anyway….will try to post some first (well, second) day photos tomorrow. We didn’t take many today because it was so busy! Just a few quick photos from our vacation. I have tons more to post but I need to get some lesson planning done for this week and then I need to get to bed and get some rest before our first day of homeschooling tomorrow! My sweet baby girls! They had so much fun last week. The water was so calm and beautiful and they had a lot of fun swimming! As you can see–Annagrace got pretty dark and we kept calling her Little Pocahontas! Me and my THREE girls! Annagrace 7 years old, Madalyn 3 1/2 years old and me 7 months preggers with Layla! And my best friend’s baby Lilley! I was so happy that they could come and spend a night with us. We had a lot of fun on the beach on Friday and had a little mini-portrait session on Friday evening. Lilley was so adorable!!! 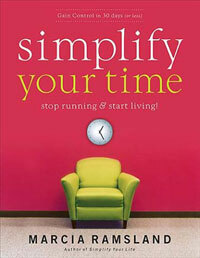 I picked up the book “Simplify Your Time” several months ago (right before we moved) and recently picked it up to read through it. It has some great tips that I had read and already implemented and I really enjoyed a chapter about Organizing your goals. The author pointed out how a lot of people had goals or things they wanted to accomplish but they never developed a timeline or a plan for accomplishing them. One thing she suggested was to make a list of 15 things you would like to do or accomplish in the next 5 years. The first thing she has people do is write out the seasons and the age you will be (and your family members) during those seasons over the next 5 years. By doing this you realize just how quickly 5 years will pass by. Sometimes we think about the future but we do think about what age we will be, or how old our kids will be, or our parents. So I was thinking about 5 years into the future. If Jesus does not return first then in exactly 5 years from today I will be (gasp!) 37 years old. Wow–almost 40 years old. I will have been married for 16 years. Annagrace will be 12 years old and will be getting ready to start the 8th grade. Madalyn will be almost 9 years old and baby Layla will be almost 5 years old. My dad will be nearing 70. We will no longer have a baby or even a toddler in our house. The high chairs will be packed away, Layla will be in a big girl bed and my oldest daughter’s hormones will be beginning to rage. Buddy will probably have gone on to his eternal home and I’m sure that people I love will have passed away. And there will be new friends and family members in our lives. And all of that . . . in JUST 5 YEARS. Wow. That really puts things into perspective. I started thinking about things I want to do or accomplish in the next 5 years and I honestly have not even come up with 15 yet. Here is the list that I started in the dentist’s office 2 weeks ago. I’ll have to add more as I complete my list! 1. Pay off our van. 2. Install a new kitchen floor (oh man how I HATE our kitchen floor!). 3. Replace carpet throughout the house. 4. Take the girls to Disneyworld. 5. Celebrate my 15th anniversary away from home without the kids. (I told my friend Jenn today that maybe if I was lucky Aaron might take me to Graceland. Hee hee. Well, I have always wanted to go!). 6. Pay cash for a new (well, used) vehicle for Aaron. Just praying that we won’t have to do this for about 4 more years! 7. Quit nursing job and make my living off of photography. 8. Support a Compassion Child. 9. Take the girls to an American Girl store. What things would you like to do or accomplish in the next 5 years?